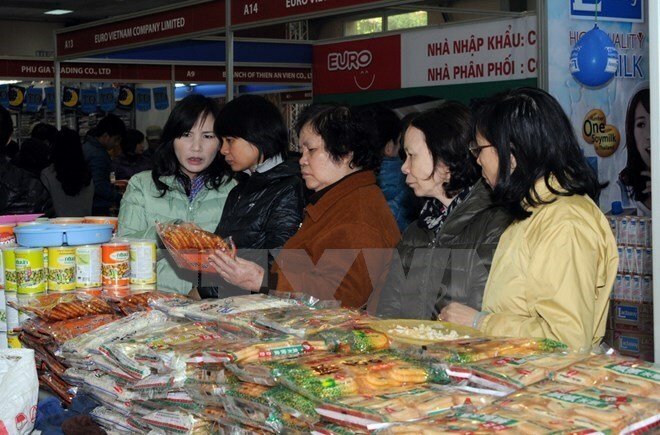 Hanoi (VNA) – An exhibition featuring “Top Thai Brands” is scheduled to take place in Hanoi from August 17-20, according to the Vietnam National Trade Fair & Advertising Company (Vinexad). Co-hosted by the Thai Ministry of Commerce’s Department of International Trade Promotion, the Trade Office of the embassy of Thailand in Hanoi and Vinexad, the event will feature trade among exhibitors from August 17-18 and free public entry from August 19-20. During the first two days, 113 Thai companies and business associations will directly meet Vietnamese importers to seek partners and business opportunities. Later, 192 stalls by Thai merchants and Vietnamese agents of Thai products will showcase food and beverages, household appliances, apparel and accessories, household electrical appliances, health care products, and several other services. Thai food cooking demonstration and dance performances by Thai experts and troupes are also planned for.